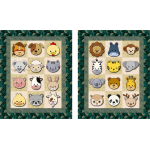 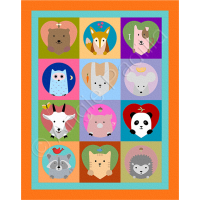 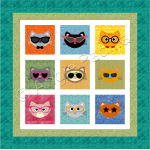 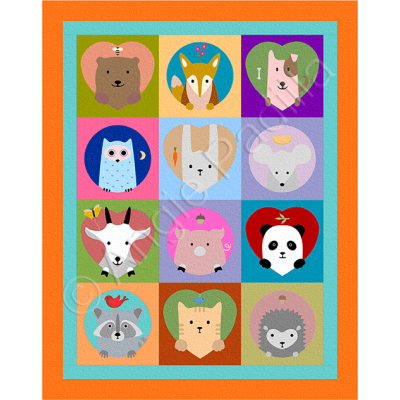 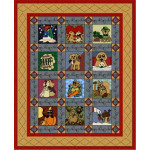 Twelve darling little baby animals are sure to delight any child, young and old, in this darling little crib quilt. 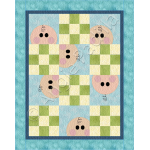 Finished quilt size: 46 x 58"
Have you ever known a baby or toddler who doesn't like to play this game? 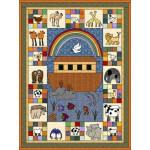 This fun little crib quilt.. 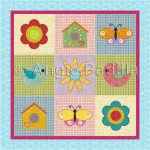 This charming little crib quilt is a perfect project for beginner quilters or for those of you wh..